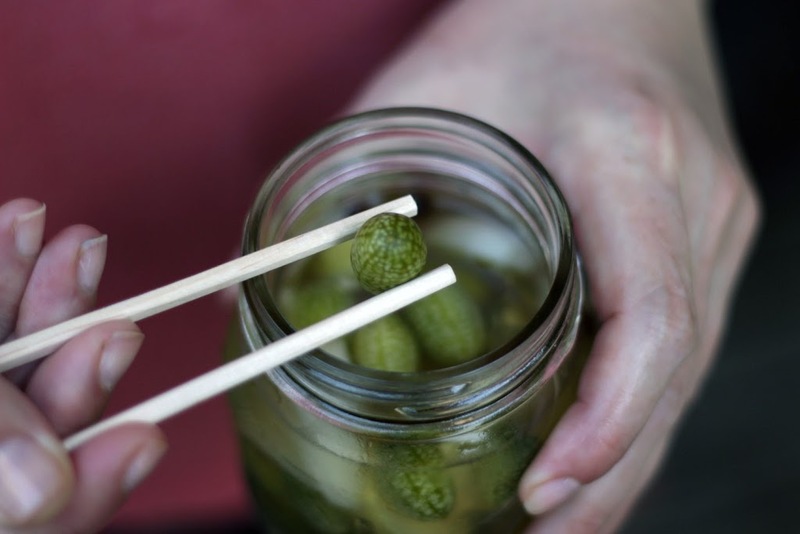 Nerd confession: one of my favorite guilty pleasures is to curl up with a jar of ice-cold pickles, a pair of chopsticks, and binge-watch Doctor Who episodes with The Husband. Crunchy dill and Tardis. Mmmmmm. We’re refrigerator-pickling fools this year. 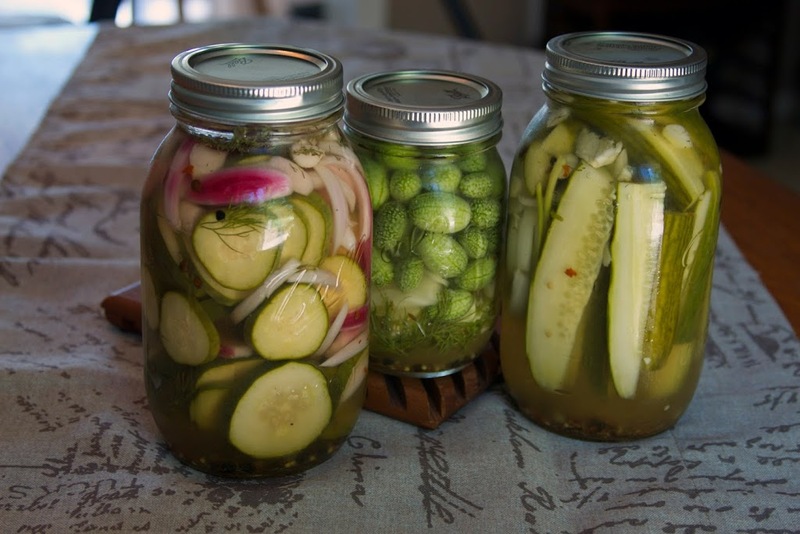 There’s a constant squirreling away into briny jars every manner of leftover onion, garlic, zucchini and cukes. Poor chickens are getting huffy over the MIA veg scraps to which they’ve grown accustomed. I feel a lawsuit brewing. I’ve discovered my deep-rooted childhood hate of zucchini can be attributed to the fact that they never came fresh or picked at the peak of ripeness (ours were often over-grown, spongy things ruining an otherwise perfectly good summer salad) but now, oh, I love me some young zucchini spears marinated in tangy cider vinegar and spices. On a lark I picked up a quart of watermelon cucumbers at the farmer’s market a few weeks ago. Adorable, mild little buggers but what to do with them? A three-week soak in apple cider vinegar and peppercorns has drawn them out of shy. And if you want to get all fussy about it these look pretty sliced up in a salad or tucked into a bento box. 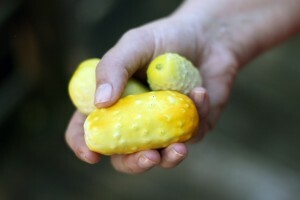 But my favorite pickle by far comes from our little Boothby’s Blonde Summer Cucumber. These heirloom cucumbers originate in Maine and are the sweetest and loveliest I’ve eaten. They are a squat little yellow veg that puzzled us at first because we couldn’t tell when they were ‘done’ on the vine. As a pickle they are the finest. And we grew them in our backyard garden which makes them taste even better and The Doctor all the more thrilling.